If there is a more well-loved sandwich, I'm not sure what it is. 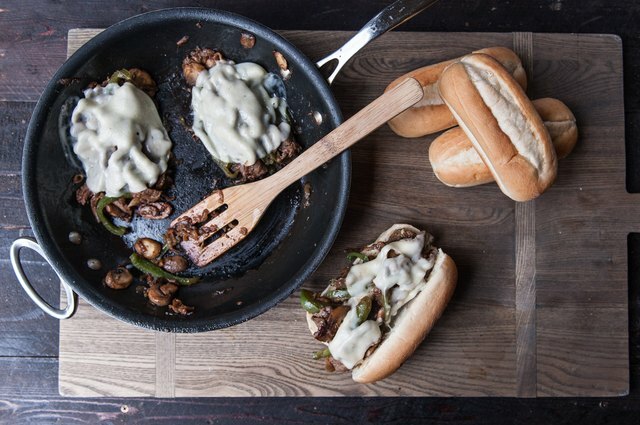 Between the flavorful steak, the sweet caramelized onions, the tang of the provolone, and the soft roll, this is hand-held crowd pleaser. It's simple enough to make, and impressive as far as sandwiches go, making it a great option to feed a hungry crowd. Get the good stuff! 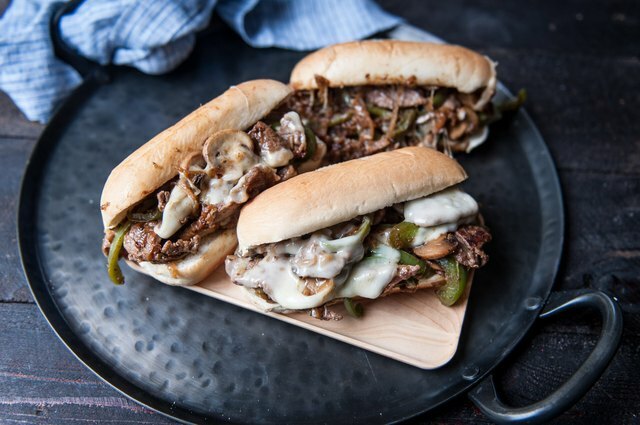 Many people will use a low-quality meat for their cheesesteaks, only to end up with an overly-chewy sandwich. Once you taste the melt-in-your-mouth texture of a nice ribeye, you'll never go back. 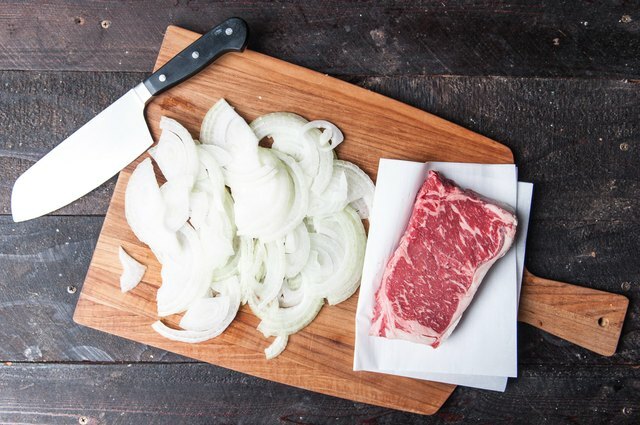 Lightly wrap the steak in parchment paper, place in the freezer for 15 minutes while you prepare the onions -- this will allow for easier slicing. Thinly slice the onions. Heat the olive oil in a pan over medium heat. Add the onions, cooking until they start to caramelize, about 15 minutes. 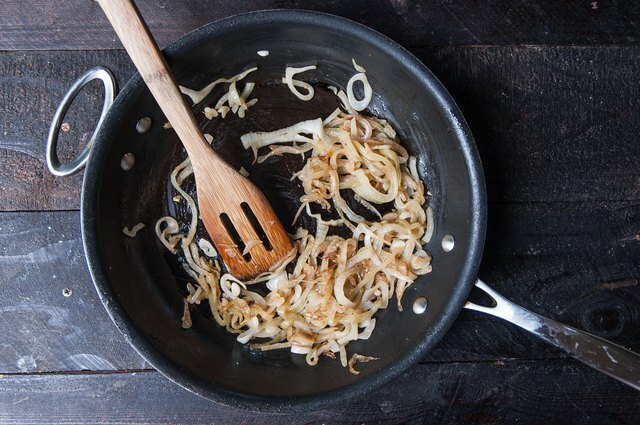 Onions require much more cooking time to caramelize than the other vegetables. 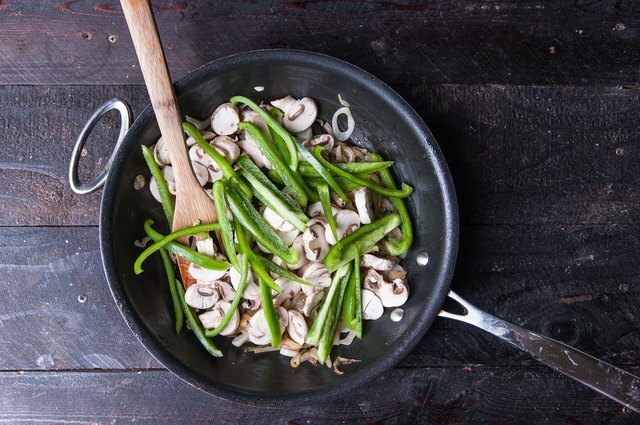 Add the mushrooms and green pepper, cooking until softened and the mushrooms are dark brown. The steak should be very cold, but not completely frozen. 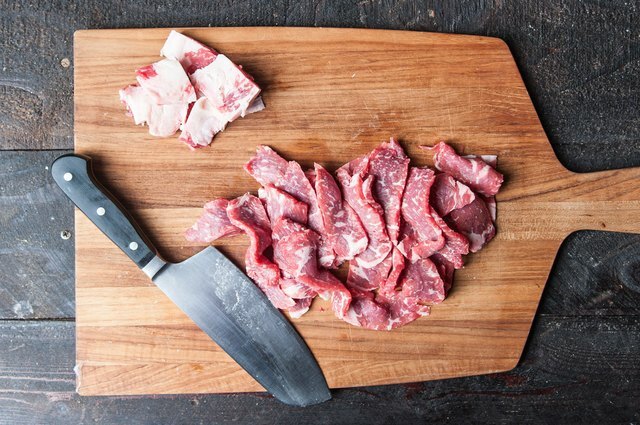 Slice very thinly, removing any large chunks of fat. Sprinkle with salt. 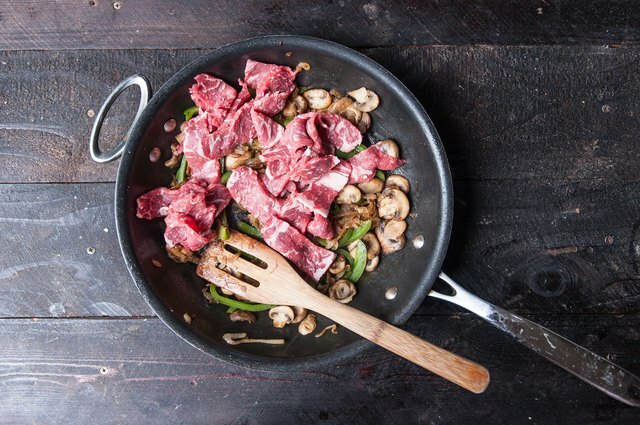 Add the steak to the pan, raise the heat to medium-high. 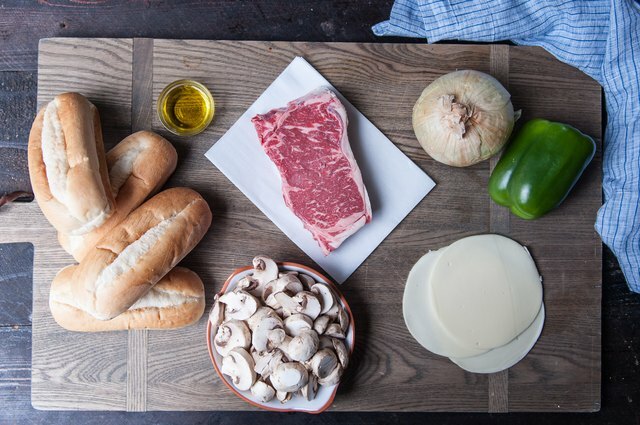 Cook until the steak is cooked through. Salt and pepper to taste. Turn heat to low. 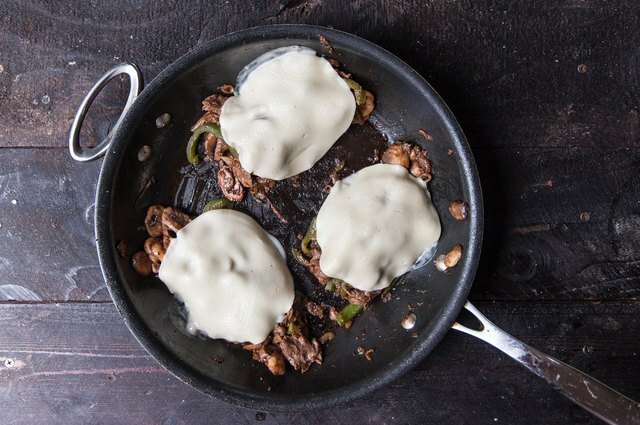 Separate the filling into three to four piles (depending on how full you want your sandwiches), top each pile with a slice of provolone cheese, allowing to melt. Gently scoop one filling pile into each hoagie roll. Rolls can be toasted or warmed in advanced depending on preference.